All CAREFREE RANCH - LONE MOU homes currently listed for sale in Scottsdale as of 04/25/2019 are shown below. You can change the search criteria at any time by pressing the 'Change Search' button below. "Distinctive Hillside Spanish Colonial Estate on 5.38 acres in private and picturesque Carefree Ranch. Carefree Ranch is the'' Hidden Gem'' of Scottsdale. 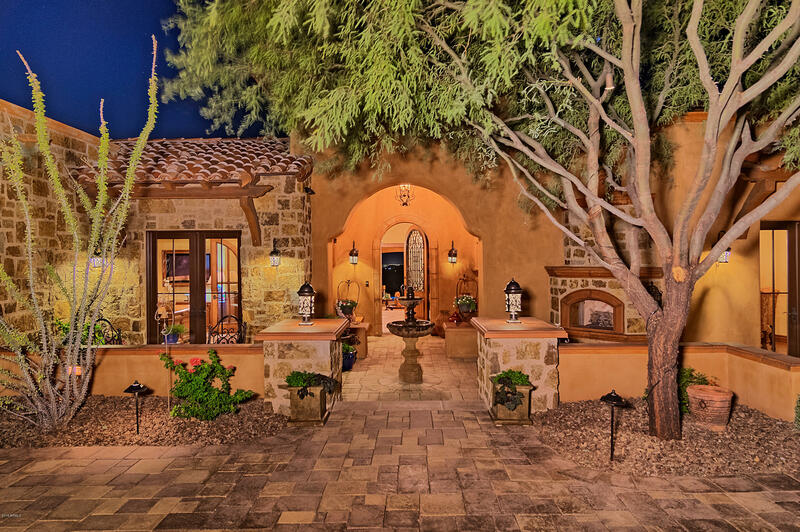 Built by Desert Traditions Custom Homes with superb craftsmanship and attention to detail. Gated driveway leads to motor court and a charming courtyard with welcoming fountain and fireplace. Upon entering this beautiful home you will immediately fall in love. The foyer opens to the ultimate gathering room with 21 ft of disappearing doors, and u"